Mihaela Van der Schaar's current research interest is on machine learning, AI and data science for medicine. 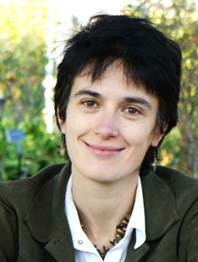 She has helped to pioneer new machine learning and data science theory and methods for clinical risk prediction (including competing risks), predictions of disease trajectories based on repeated measures, causal inference and individualized treatment effects, data imputation methods (including for longitudinal data and data that is informatively missing), operation research methods for developing personalized screening policies, and new methods for making machine learning predictions interpretable. These methods have been successfully applied for risk prediction and management of many diseases (including cardiovascular diseases, heart transplantation, cancer, cystic fibrosis, asthma). She is also developing machine learning and data science methods to enable personalized education of students and professionals. Besides machine learning and data science, van der Schaar's research expertise spans signal processing, multimedia, communication networks, network science, game theory and distributed systems. Her research work has been widely cited and several of her papers received best paper awards, including the prestigious IEEE Circuits & Systems Society Darlington Award. In addition, van der Schaar's work has also led to 33 US patents (many widely cited and adopted in standards) and 45+ contributions to international standards. Her work has received many recognitions and awards, including the NSF CAREER award, the Okawa Foundation Award, 3 IBM Faculty Research Awards, Philips Make a Difference Award, 3 International ISO (International Organization for Standardization) Awards, the Oon International Prize and Lecture in Preventive Medicine for 2018 etc.